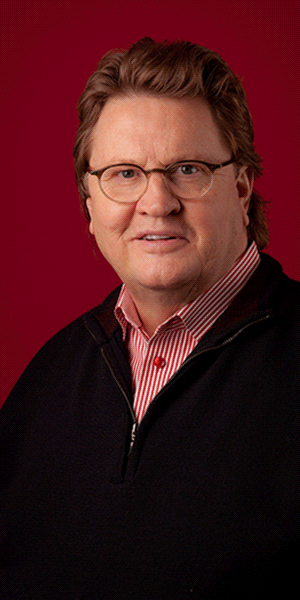 Although he dreamed of becoming an architect, artist, lawyer, or builder, Bruce studied business management and communications at the University of Utah. However, he found a way to combine his multi-discipline interests through his role as President of KEPCO​+. With twelve years experience working in his family's stone and tile business, including responsibilities ranging from field work and estimating to project management and sales, the transition from "employee" to "employer" came naturally when he began the Knaphus Exterior Panel Company in 1985. Thirty years after the company's founding, Bruce is still responsible for overall management of the company and remains "hands-on" with specific administrative management responsibilities on the company's major projects. He has acted as Project Executive on the five star Grand America Hotel, the historic Nauvoo Temple Re-creation, the Utah State Capitol Renovation projects, and all six buildings at the Cottonwood Corporate Center. He also served as Principal-in-Charge for the two building Irvine Spectrum Project in Irvine, California. "Although I love both the technical and the creative aspect of helping architects and owners create their dreams and monuments, my favorite part of this business is the individual relationships we've built. ‘Doing business' is a team sport, and I believe that the success of any company is dependent on ensuring the focus always remains on people," states Bruce. KEPCO+'s company philosophies are founded on Bruce's passionate belief in such old adages as "Any job worth doing is worth doing well," and "There is no substitute for quality." This old fashioned ideology must be effective as 75% of KEPCO+'s business is attributed to return clients, and as they say, "The customer is always right!"